The district SCRIP program is here to make gift shopping simple!! The holiday season is upon us. At times finding the perfect gift is challenging and the best option is a gift card. Please consider buying gift cards through the SCRIP program. 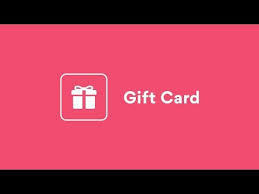 Gift cards are purchased at face value while each company determines a percent to give back to the school district. What a simple way to support Pecatonica School District! No need to run around buying the gift cards. Simply fill out the order form(s) ** and send it back to your child’s school with a check payable to Pecatonica School District. The gift cards will be ordered and returned home with your child (or you may request to pick your order up if you prefer). To guarantee receiving cards before the holiday break, please submit orders by: Monday, December 10, 2018. **Please note the low denomination sheet is only available for a limited time while supplies last. Any questions, please contact Jill Folk, District School Social Worker at jillfolk@pecschools.com or Sarah Kuperus, District School Psychologist at sarahkuperus@pecschools.com.